It's kind of amazing that something so central to many of the issues we see and read and hear about in the news every day, something on which billions of dollars and countless hours of scheming by political "professionals" are expended every year, continues to be so widely misunderstood. Yes, that description can be applied to government itself, but here I'm simply talking about voting. These are our recommendations for the local + state measures on the November ballot. Have questions about our recommendations? Email [email protected]. The Libertarian Party of San Francisco has endorsed John Dennis at our August 2018 meeting. Read our interview with John Dennis and find out more at JohnDennis.com. 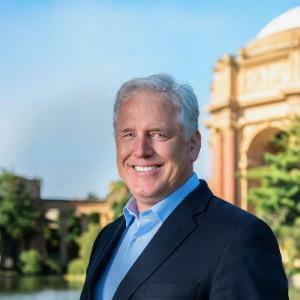 Could a man raised in the densest Democratic county in America and now living in the bluest city in the country end up becoming Libertarians’ best chance to get a real freedom-loving politician into San Francisco City Hall? Unlikely as it seems, yes, it’s actually possible this November. The lone Republican candidate for District 2 Supervisor, John Dennis is waging an enthusiastic campaign this fall to get a seat at the table. District 2, which covers primarily the Marina District, Pacific Heights, and Cow Hollow, is undeniably the wealthiest district in The City and probably the most conservative. Read more about A Libertarian at City Hall? Statism in California is not on the march, it's rampaging. On August 30, the State Senate passed SB-826, which would compel corporations to appoint specified numbers of women to their boards. There is nothing wrong, and everything right, with a company choosing to appoint a woman or women to its board. But there is nothing right, and everything wrong, with using government power to force a company to put any person on its board (or in its management or anywhere else in the company). It is tyranny, plain and simple. Read more about Selective Anger At "Freeloaders"
It’s almost election time again, so these are the LPSF’s recommendations and thoughts on all of this fall’s local ballot measures. As always, the LPSF submitted arguments for the “free” official arguments to be printed in the Voters Handbooks, and we “won” the lottery for two of the ballot measures and submitted two paid arguments, all of which will appear in the Voters Handbooks mailed out in early October. As usual, our support of or opposition to a ballot measure hinges on whether it expands or shrinks the amount of governmental control of our lives. 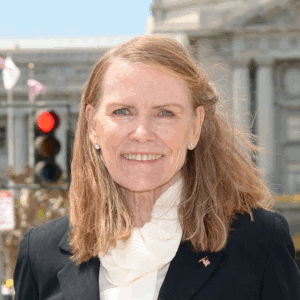 Increased taxes, debt, ordinances, bans, and mandates all tend to be the former, so that’s why the LPSF generally opposes most San Francisco ballot measures. Since outright taxation, even for statists, has its limitations, bond measures have become the preferred method for politicians and vested interests to increase government spending, especially here in California. Since California voters passed Prop 39 in 2000 lowering the threshold for passage from 2/3 to 55% for school bonds, the approval rate for such bonds has soared to 80%. A report from the Little Hoover Commission, a “good government” independent state oversight agency, in 2009 pointed out the increasing problem of more and more long-term debt being approved both statewide and locally. It revisited the issue last year as the problem seems to have worsened as few of their recommendations from 2009 were adopted.